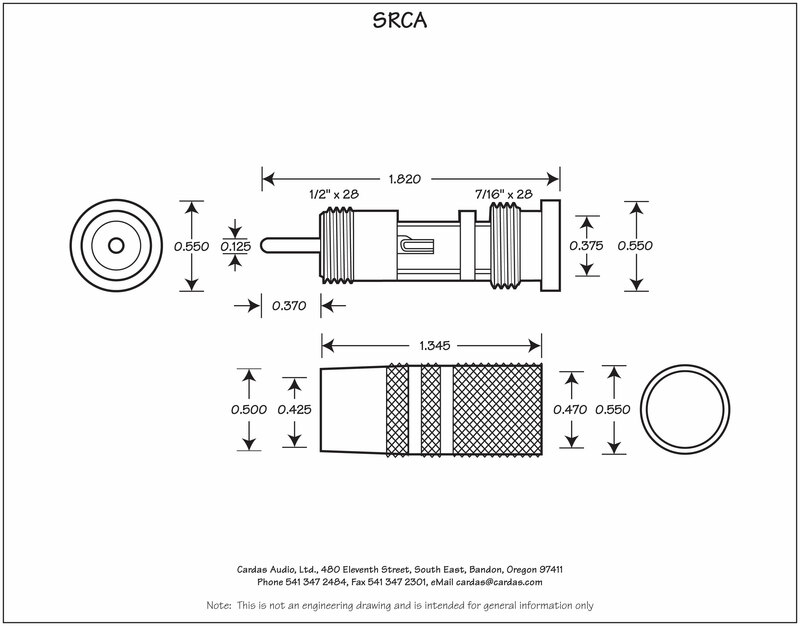 Our finest RCA plug. Eutectic brass, rhodium over silver plate. Spring loaded tensioner. 9mm opening. 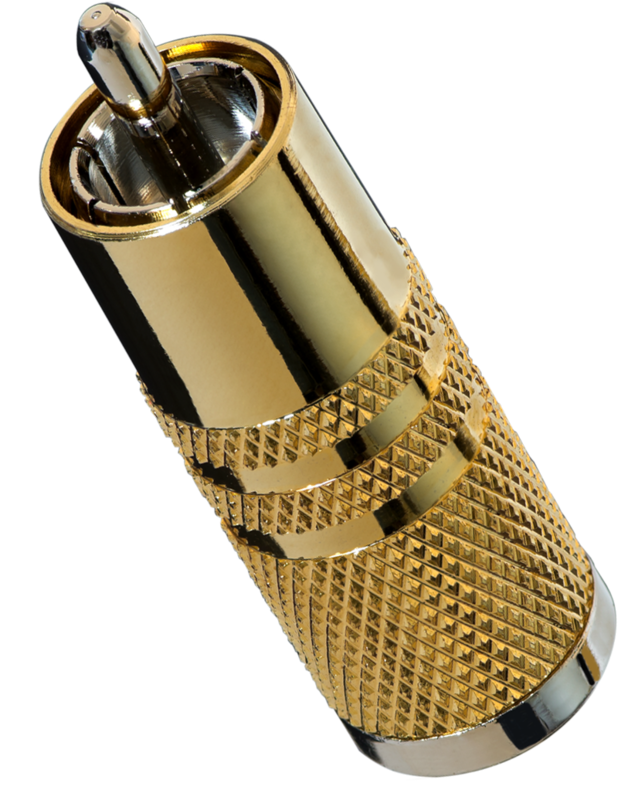 Gold plated brass cover. 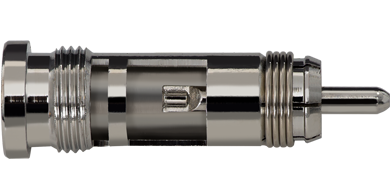 XRCA 11 adapts cable opening to from 9mm to 11mm. 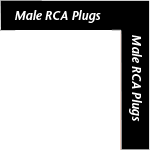 Click here for a list of all RCA plugs.